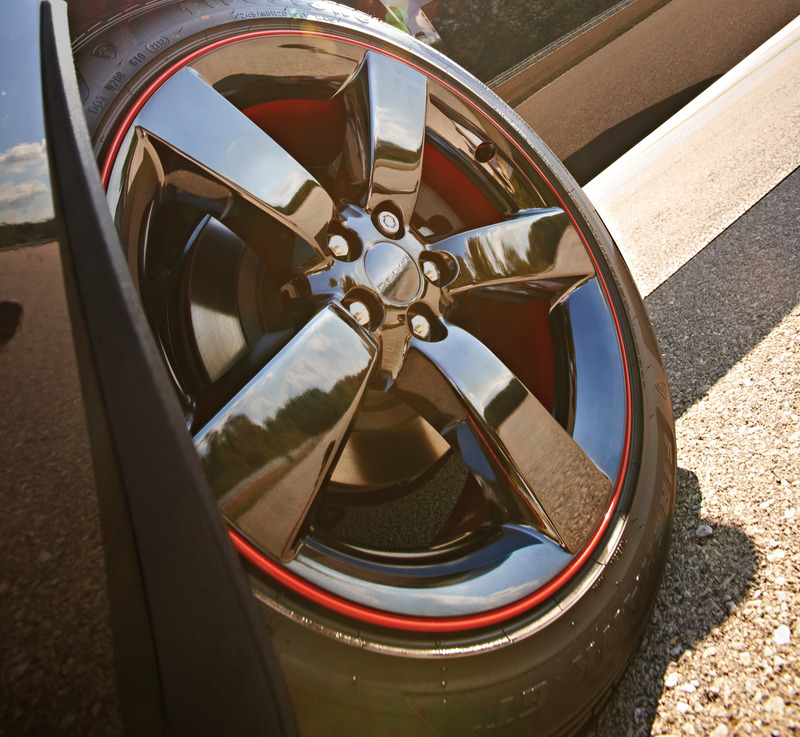 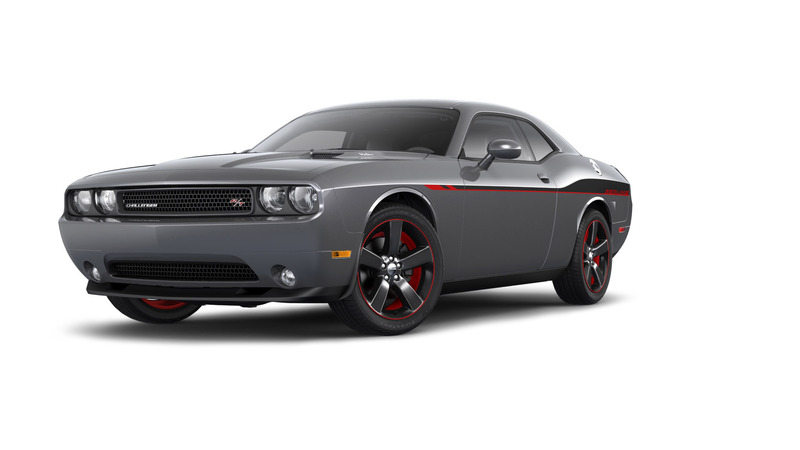 An all-new, two-color Redline Red & Graphite stripe runs from behind the front wheel arches to the tail. 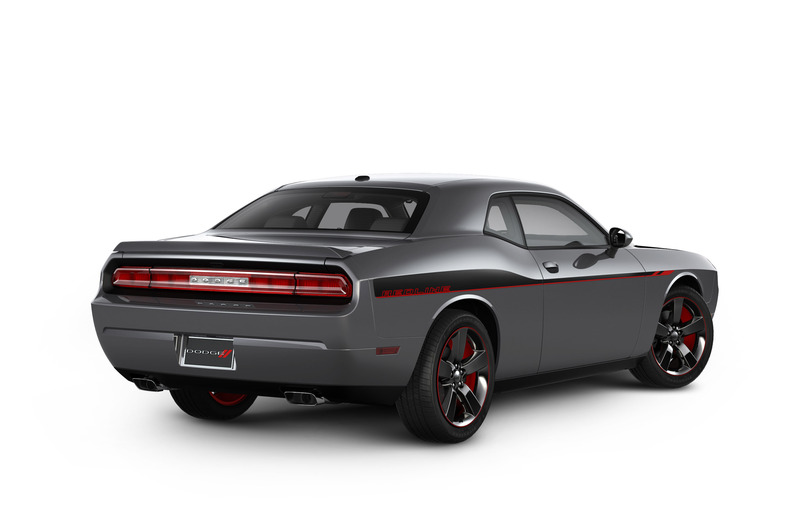 The rear-quarter section of the stripe features the "Redline" name in Red over Graphite color scheme. Legendary 5.7-liter HEMI V-8 engine with up to 375 horsepower & 410 lb.-ft. of torque, & gets up to 25 mpg on the highway. When paired with the track-proven Tremec TR6060 six-speed manual transmission, the Dodge Challenger R/T delivers smooth shifts, while delivering even more power through unique performance-tuned dual exhaust & under-floor mufflers with low-restriction bottle resonators. 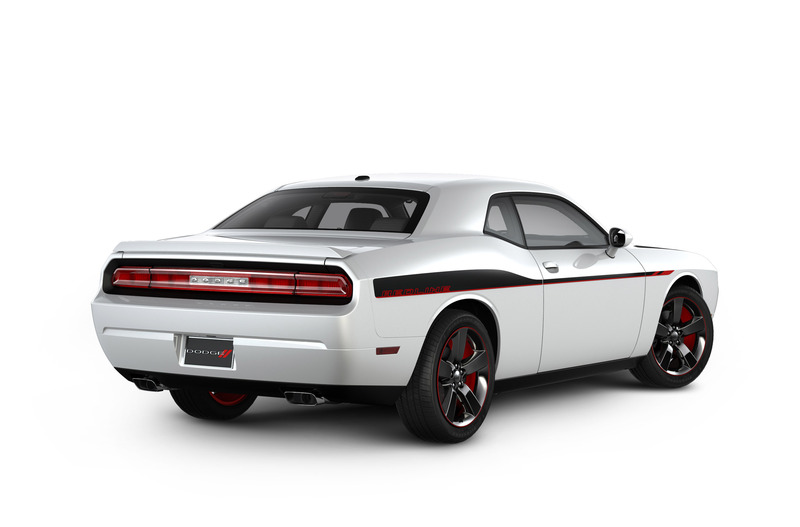 With the above combination you get: 0-60 mph runs in the low-5-second range & a sinister exhaust growl for the cars left in its rear-view mirror; a trademark of the original Challenger HEMI from more than 43 years ago. 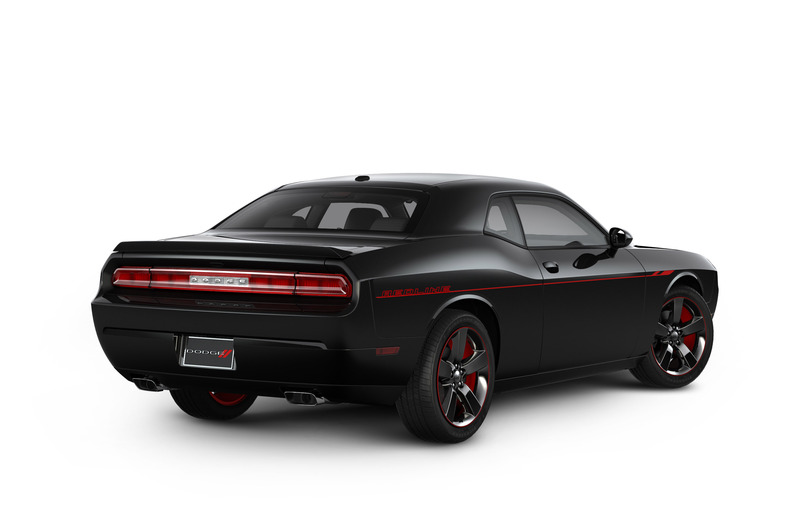 The 5.7-liter HEMI V-8 engine is also available with a 5-speed automatic transmission for 372 horsepower & 400 lb.-ft. of torque. 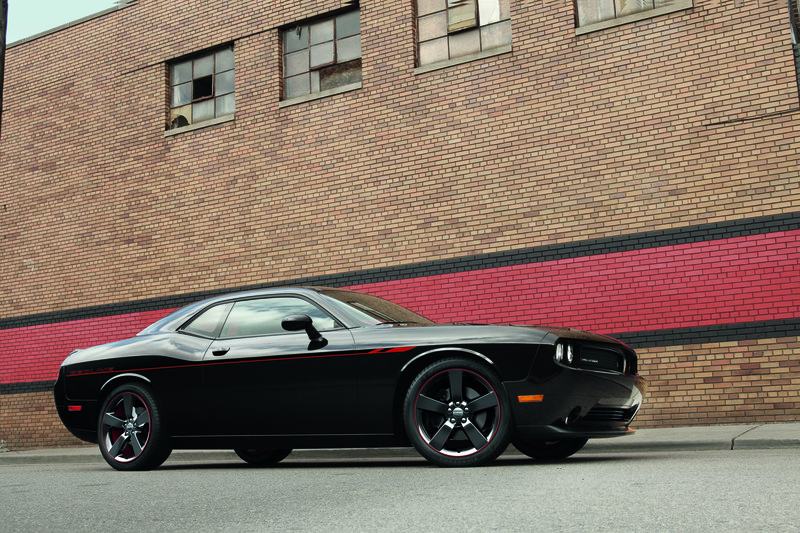 The 2013 Dodge Challenger with R/T Redline Group is available for ordering now & arrives at dealerships in April with a U.S. MSRP of $1,995. 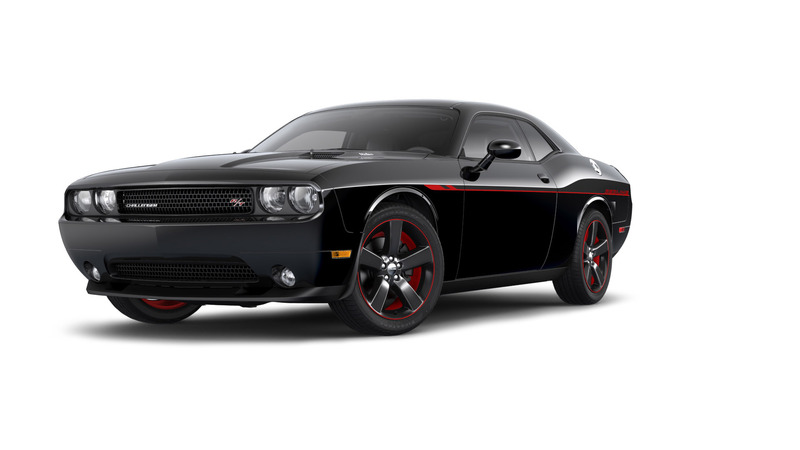 When configured on the Challenger R/T or R/T Plus models, the MSRPs are $31,990 & $33,990 respectively (both prices exclude $995 destination).